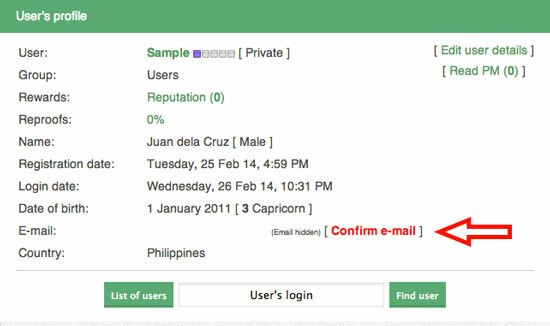 To maximize and enjoy full features of the site and also to avoid deletion of your account you must verify your email. 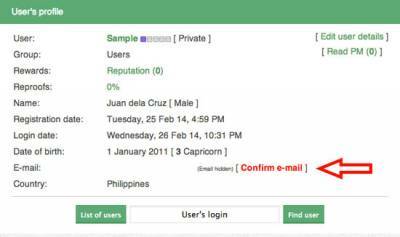 Every end of the month we remove all unconfirmed user email to prevent from spam users and make sure that all registered user are genuine. 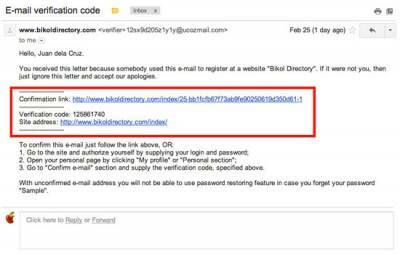 To confirm your email follow the simple steps below. 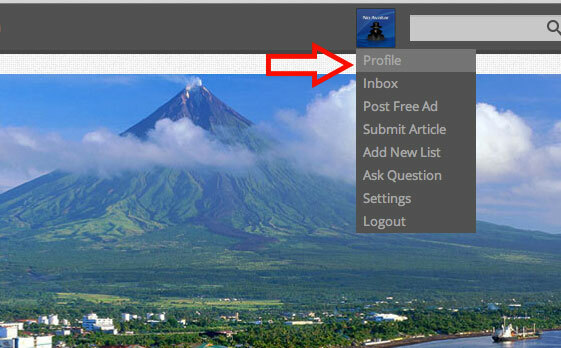 In the homepage, hover in your profile picture, a drop down menu will appear, click on "Profile", See the screenshot below. User's Profile window will open in new tab, click on the red "Confirm e-mail" link, See the screenshot below. After you click the confirm e-mail, a small E-mail verification window will pop up where you can enter the verification code or click the resend verification code button if you didn't receive the email. 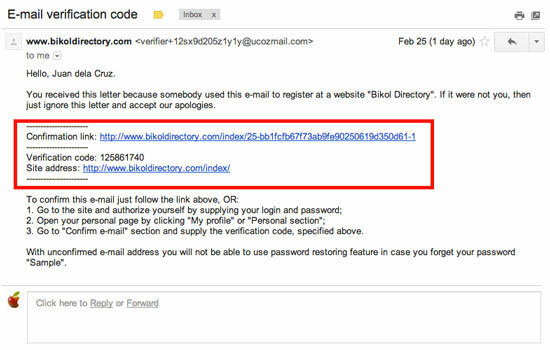 Login to your email that you use to register and look for the email for www.bikoldirectory.com with the title E-mail verification code. 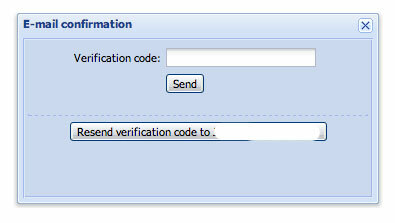 Inside the email, you have two option to verify you email, you can click the confirmation link or copy the verification code and paste it in verification window that you see in step three. Either of the two will do the job, see the screenshot below. Thank you for confirming your email, you can now enjoy the full features of the site. Nice post, thanks for discussing.. I'm a kind of with no creativeness. When my sister and that i adopted our cat, I desired to name her Snowball, as a result of she was all white (that, and there was a white named Snowball in a favourite book of mine when I used to be youthful. The e-book was referred to as "The Doll within the Backyard" for those of you who are curious). My sister desired to identify her Chessie after the Chesepeak Railroad kitten (I'd solely go with that if we undertake a tabby, though). I'm a type of with no imagination. When my sister and i adopted our cat, I wanted to identify her Snowball, as a result of she was all white (that, and there was a white named Snowball in a favourite e book of mine when I used to be youthful. The e-book was known as "The Doll in the Backyard" for those of you who're curious). My sister wanted to name her Chessie after the Chesepeak Railroad kitten (I'd solely go with that if we adopt a tabby, though).